Marcus Wolf studied film at The University of Pennsylvania's Annenberg School for Communication under Dr. Amos Vogel and Dr. Stuart Samuels. He worked as an Electronics Engineer in the telecommunications field for over 20 years at an Emmy Award winning organization. He is an Executive Producer of "How Do You Write a Joe Schermann Song" and "Caldera." Marcus has also produced and directed short films for other production companies. Marcus spent several years directing several television shows for Arlington Independent Media in northern Virginia. In addition to directing, Marcus has extensive experience in all other aspects of television production. Marcus founded Flicker Dreams Productions with long time friend and associate Edward A. Bishop in early 2010. He serves as Executive Producer, Producer and Director of Development of FDP in addition to numerous other capacities. Edward Bishop has worked in the film and television industry for more than 25 years, with experience spanning virtually every genre. He began his “professional” career in 1988 as a segment producer on a national video magazine for the American Library Association, leaving in 1990 to form ColorCast Productions and Odd Sprocket Films with director Pericles Lewnes. Throughout the nineties Ed produced and edited award-winning music videos, commercials, training and promotional videos for such clients as DuPont, Johns Hopkins, and Polygram Records. His music video for jimmies chicken shack’s “High” reached the top 10 on MTV2. In 1997 Ed produced the independent documentary "FAST GAME FAST MONEY: The Grifters of New York." An irreverent expose of Three-Card-Monte and Shell Game con artists. The “documentary-noir” earned critical accolades and numerous awards, including the prestigious “CINE Golden Eagle” and Grand Prize in the Rosebud Film Festival. The Kennedy Center AFI Theatre in DC, The Baltimore Museum of Art, and the Atlanta Film Festival screened the film, and it aired on PBS as part of the Independent Eye series. Ed followed up this success with production of "FIGHTER," a documentary feature following the rise of Ultimate Fighting Champion Randy Couture. FIGHTER has earned several awards including Best Documentary at the Los Angeles FAIF International Film Festival. Between work on Fighter, Ed co-produced, co-wrote, and edited the Bogart, Cagney, Gable, Spencer Tracy, and Kirk Douglas installments of Movie Stars on Film, a documentary series released on DVD by Delta Entertainment. 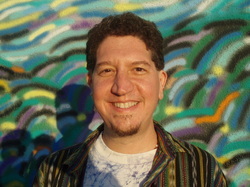 Ed has also co-produced and edited several short films and worked on post-production/visual effects for Discovery Networks, National Geographic Channel, History Channel, Disney Channel, ABC, ESPN, and the features "Highlander: Endgame," "Terminal Error," "Driven," "Spectres" (aka "Soul Survivors") and Pericles Lewnes’ award-winning "LOOP." Ironically, Ed is probably most famous (or infamous) for co-writing and producing the Troma cult classic "Redneck Zombies," his first feature produced shortly after college. The second most successful Troma film (after The Toxic Avenger), the movie recently celebrated its 20th Anniversary with the release of a 2 disc re-mastered collector’s edition DVD, which Ed personally supervised. In early 2010 Ed became a partner in Flicker Dreams Productions with long-time friend and associate Marcus Wolf. In addition to serving as Creative Director of FDP, Ed has worked for the past 5 years as a Post Producer/Supervising Editor for the Los Angeles office of Zuffa (Ultimate Fighting Championship), where he is primarily responsible for UFC On-Demand features, the series "Recargado" on Fox Deportes, and re-packaging live UFC shows for re-broadcast in international markets.